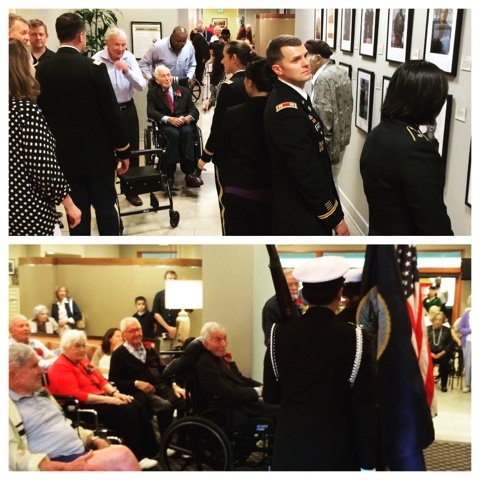 Another great veterans photography show opening tonight in West Los Angeles. There was a wonderful military presence from UCLA and active soldiers from around the country paying homage to our WW2 vets. And now I'm flying home.